Trees Are Not Lollipops: Big Brother has a strange sense of humour. Big Brother has a strange sense of humour. I recently joined Youtube. I wanted to make a comment and that was the only way I could. So now when I go to ‘my page’, I get a series of suggested videos that I might like to watch. The choice of these is supposed to have some connection to other videos that I’ve chosen to watch. For example, if I’ve watched a video of Patrick Ball, who plays the Irish harp, I might get a video suggested to me which involves an Irish song, or a celtic harp or folk music of some sort. If I watch Julie Walters, because I like Julie Walters, I might get anything from English comedy to American TV interviews. There are some, though, that I really wonder how on earth there can be any connection to the video they name as the inspiration for their choice. After my recent post about characters I knew as a child, I started looking up videos that related to the area where I lived. That led on to places I visited in that general area on a trip back to England in 1984/85. 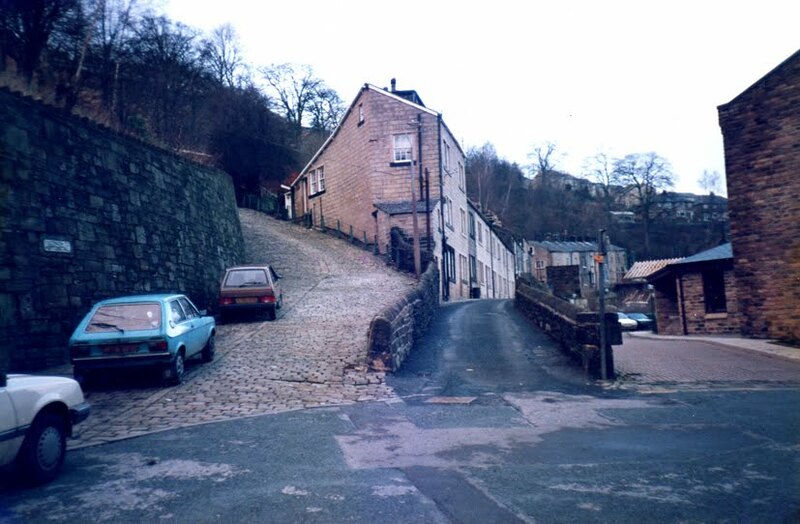 Amongst those was a little place called Hebden Bridge. I was staying with my sister in Lancashire and caught a train to this place, just for something to do. I fell in love with it straight away. 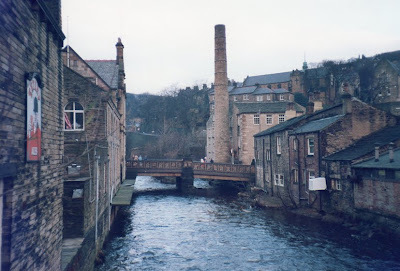 It had lots of ‘arty’ type shops, but it was the atmosphere of the place that caught me; the river, the history, the houses built into the steep hillside. I visited it a few times again after that. When I returned to Australia, my mother was fascinated by my love for the place. It was, in fact, the place where she and Dad did most of their ‘courting’ before they married, both catching a train there to meet each other, away from the eyes of those who knew them. I really enjoyed the video that I watched about Hebden Bridge, which explained the history of the place and how it had become a hippy escape in the sixties and gone on to become an ‘arts’ centre. I’m still baffled though, at the video that Youtube suggested I might like to watch on the strength of having chosen that particular video. I mean, can anyone tell me how a video entitled ‘Saddam Hussein in Saudi Arabia’ might relate? I’m not tempted to watch it to find out. Who knows what weird and wonderful titles might be thrown at me if I watch that? I live 3 train stops away from Hebden Bridge. I love it as well, I can spend hours in the antique shops there. I love the arty vibe as well. Could simply be a statistical result... E.g. a high number of people who watched the hebden bridge vid also watched x video. So it offers up X video. Recommendation technology still hasn't caught up to the massive influx of content. I found your blog over at Christina Farley's and decided to take a look, your blog title intrigued me, I loved how creative it was!! These pictures are amazing, I could see how you're drawn to it, and I'm sure we can't even get half of what it's like to actually be there, but for today I am cheerful because it looks cozy! Jenny - lucky you! I'd visit there all the time if I lived close. Jen - thanks for visiting. It was a freezing winter's day the day I took the pictures, so I have to admit it didn't feel cozy at the time! IG - thanks! It's been a long time since I got them out to look at. Oh, they have those too... But they only spy on us to find the most insidious places to leave typos. LOL -- I have 3 books trailers on You Tube now. When I click on the one for Dilly, I get suggestions for videos relating to jobs. The Marshmallow Man shows clips that relate to Ghostbusters because there was a man made of marshmallows in that. Funny stuff. Not only do I get strange suggestions on Youtube I got one today from Amazon. An email said as you rated 'Buffy the Vampire Slayer', perhaps you'd be interested in 'Clint Eastwood: The Director Collection'. I do like Clint Eastwood but...other than me liking both I don't see the connection! Maybe Saddam once courted on the bridge too? Alesa - I've met those ones, plenty of times! Chippy - no, that one beats me, too. Laura - I hadn't thought of that possibility! 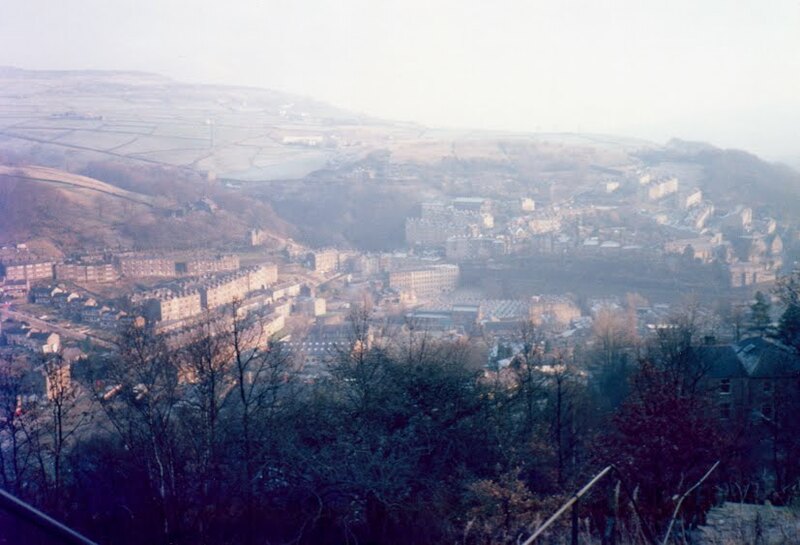 How strange that you were so attracted to Hebden Bridge before you knew that your parents courted there. Maybe you have a little of Hebden Bridge in your genes.